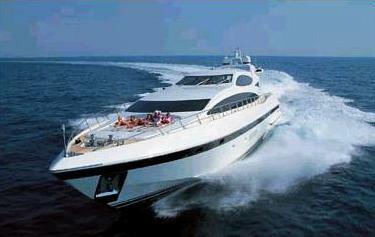 'Bellissima CC' is a Overmarine Mangusta 107 luxury yacht charter boat. 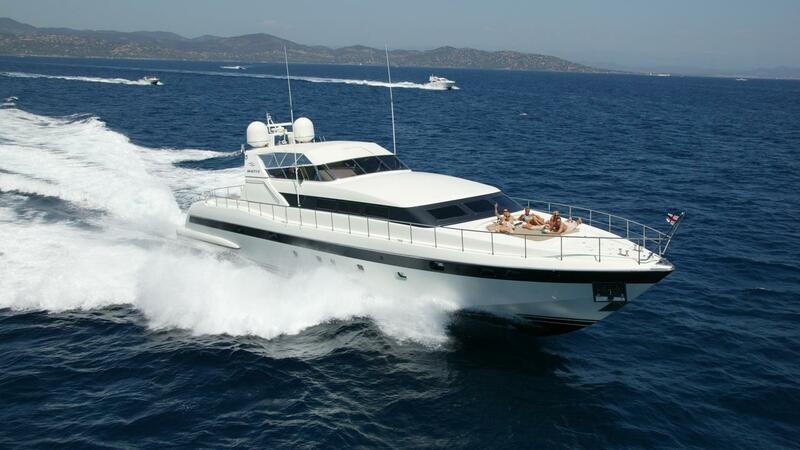 Imagine cruising along the Mediterranean coastline in this stylish Mangusta 107. 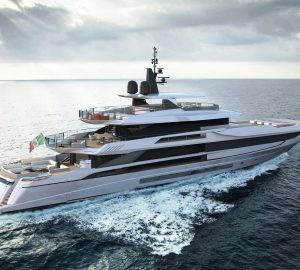 This is the latest model with the hard top and is impressive in her volume and presence. 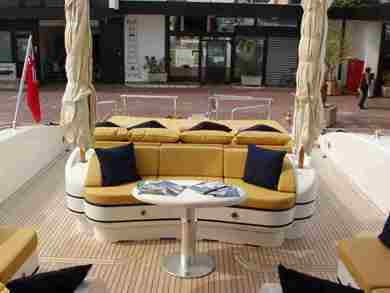 The design has been focused around top performance and special attention to passenger comfort. 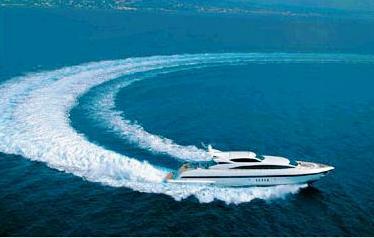 With speeds of up to 33 knots, Bellissima CC can provide a lively itinerary from St Tropez to the Italian Riviera. 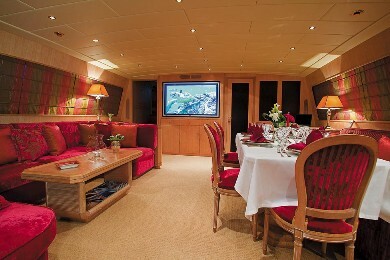 After an interior refit in 2005, Bellissima has a unique layout with two saloons, each equipped with a full entertainment system and a large LCD. Rich fabrics and decorations have been carefully chosen to enhance the elegant interior. 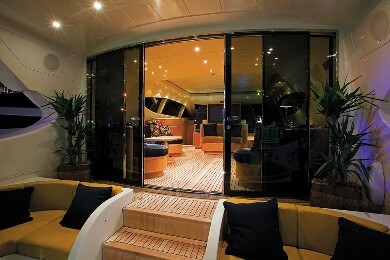 The Superior Saloon is covered by a hard top and as an alternative it can be opened up. 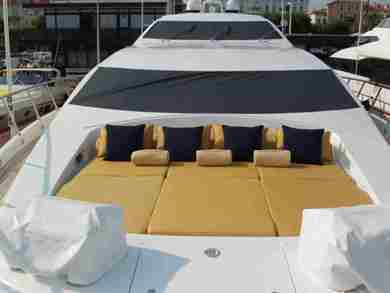 Yacht Bellissima offers many options such as well-appointed sunbathing areas and a deck Spa Pool. 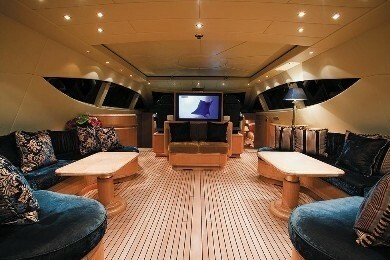 The professional Captain and crew are ready to welcome you onboard. 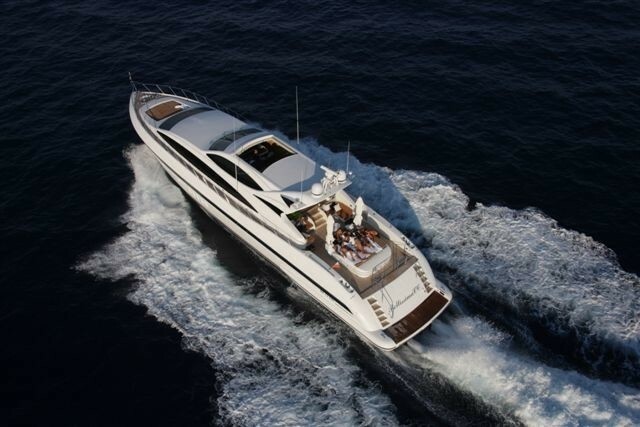 Motor yacht Bellissima CC accommodates up to 12 charter guests for cruising and 8 guests overnight. 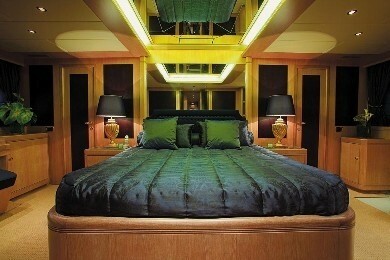 She has 2 double cabins and 2 twin cabins. 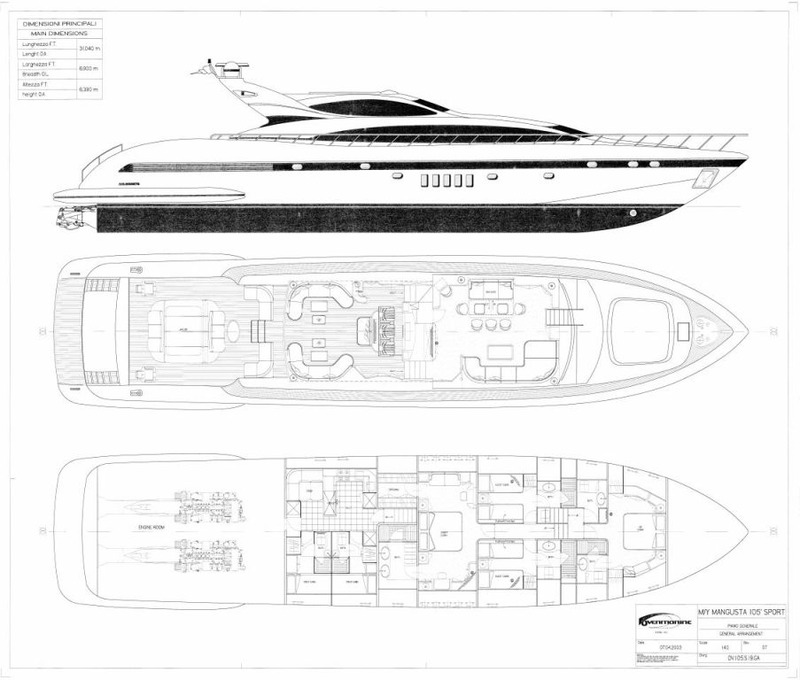 Bellissima CC's amenities: Tenders & Toys Tender hydrojet 3,80m of 60hp Jetski 2 seats Audio Visual Equipment and Deck Facilities Superior saloon : Large plasma screen Interior saloon : Large plasma screen All cabins with plasma screen, DVD, video, etc. Communications VHF, Satcom, Cat TV, Fax/Phone/Printer.